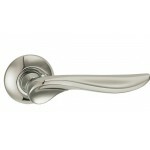 A range of lever handles on a backplate from Carlisle Brass Ltd, Kirkpatrick Ltd and Hoppe (UK) Ltd.
A range of finishes including Polished Brass, Polished Chrome, Satin Chrome, Aluminium and Antique Iron. 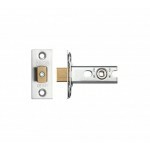 Most of the lever handles are available to suit a mortice latch, bathroom lock, lever lock or euro profile lock. 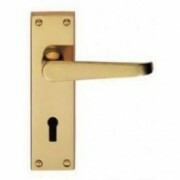 Carlisle Brass Classical Collection Victorian Lever Handles on Backplates Polished Brass Available Lever Lock, Euro Profile Lock, Oval Profile Lock, Latch and Bathroom ..
Carlisle Brass Classical Collection Victorian Scroll Lever Handles on Backplates. 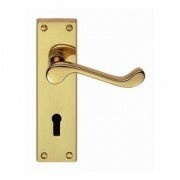 Polished Brass Available Lever Lock, Latch and Bathroom ..